The Hoyles Exitguard with keyswitch is the ideal solution for security of fire exit doors in Supermarkets, Hotels, Restaurants, Warehouses, Leisure Centres and all types of public buildings. 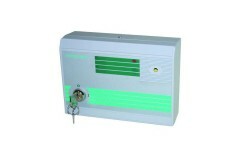 It satisfies the requirements of both fire and security officers. This EXITGUARD uses a two position keyswitch for setting the alarm. The integral sounder has two sel.. 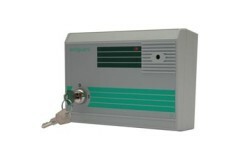 This EX105 model is a 12 volt dc powered version of the Keyswitch operated EX104 EXITGUARD. It CANNO..
EX106 is a mains powered version of the EX105 and features all the same functionality. Batteries (6 ..